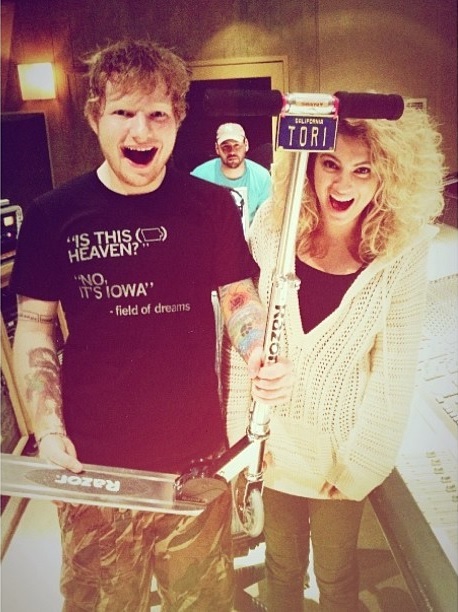 A rumour has quickly gathered speed on the internet, suggesting that Ed Sheeran and Tori Kelly may have recorded a duet for the Catching Fire soundtrack. "best morning gift! @ToriKelly @edsheeran #HungerGames WOW!!!!!" 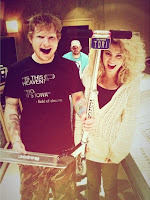 Tori Kelly also tweeted this video with Ed Sheeran in a recording studio, with Ed clearly saying "we just made a hit".